Linking to files rather than attaching files or documents is a more efficient and safer way to share information with colleagues and business associates. For our Healthcare friends; we know that emailing charts ANYWHERE, even if it’s internal, is a HUGE no-no. By utilizing OneDrive, you can EMAIL PHI and PII within your organization, and keep it locked away from criminal activity. These days email attachments get blocked or are simply ignored due to security issues. There can also be compatibility issues if one or more recipients doesn’t use Microsoft Word. You also have control of who edits the file; so if you want to keep it read only for your PA or surgical assistants, you have that power. It’s also possible to change permissions later if needed. The beautiful simplicity of this system is, you can do this with just a click or two right in the ‘Compose Email’ box. 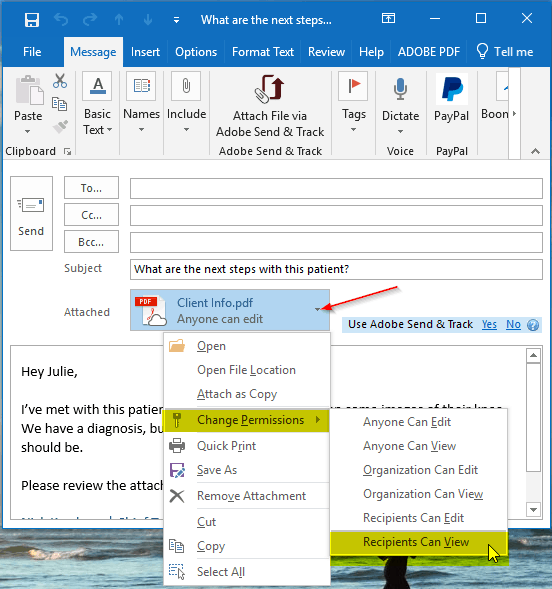 Recipients don’t even have to be using Office or Word to see it – the viewers are built right into the web viewer. Here is a quick “How To” for those of you that want to try this out – it’s VERY simple. 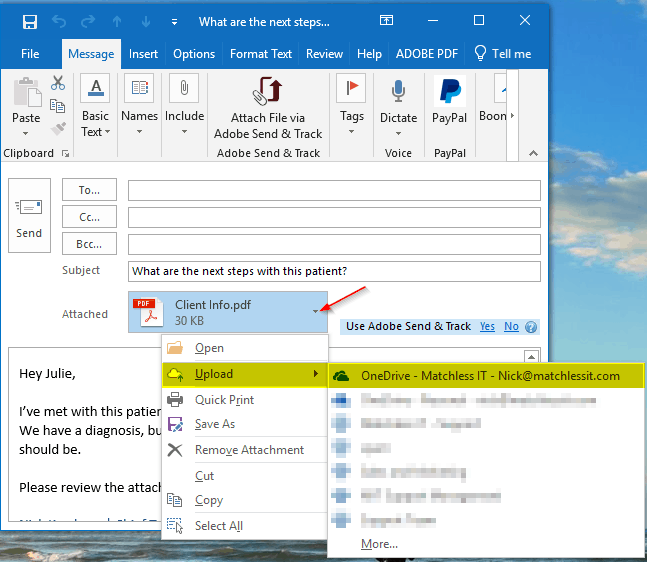 First thing is to create your email and attach the file(s) you want to send. Choose which OneDrive you would like to upload to if you have more than one (which is normally the case). Do NOT use your personal account (if your org allows it – find “Block OneDrive Personal accounts using Intune and OneDrive on Android” on the Microsoft page)! 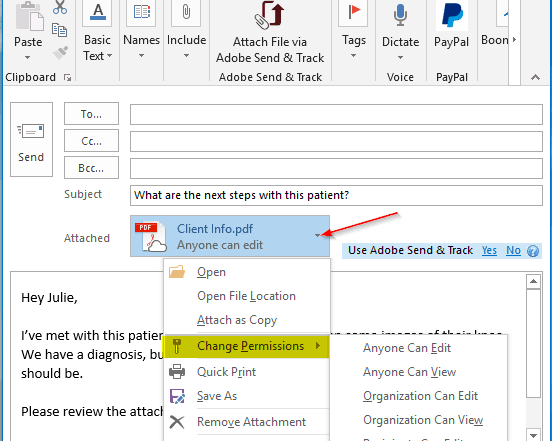 Once you Upload the file, it starts off as “Anyone Can Edit” – you must change this to stay compliant! We don’t want just ANYONE looking at this, so we need to change it. What you see in this image is BAD! Make the adjustment! Double-check your security level and complete your email, then click send! You have now officially sent a secure, HIPAA compliant attachment!! That’s wasn’t so bad, was it? Now that you know how it works, are you ready to put this to work for you? 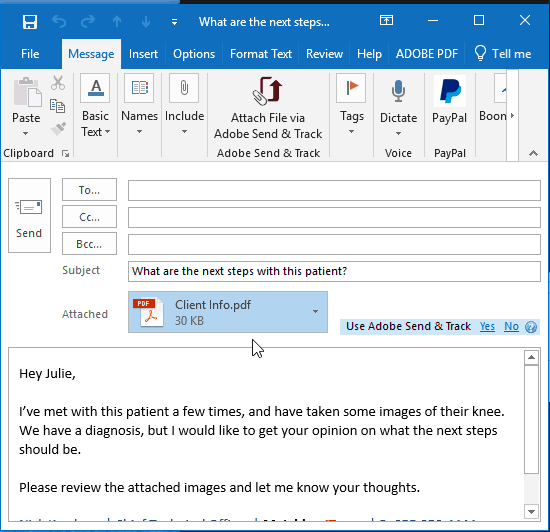 Office 365 for Healthcare has always been there, Microsoft just keeps making these features easier to use for everyone. 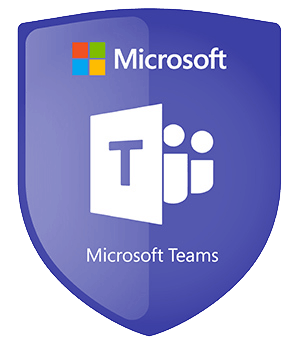 If what you’ve seen here is something of interest to you, let’s touch base to discuss this amazing feature and some of the other incredible things Office 365 can do for you.